I have a problem with succulents. I know it hardly makes me original, but I just love them so much I want to pick up every little guy I see and cradle him in my arms. I avoid doing this as it would lump me with the many crazies I watch everyday. We're talking the crazies that do things that remind me why New York City is so funny :: You literally are never alone unless you draw your curtains and hunker down. Otherwise your neighbor, doorman, people on the street, someone, sees what you're doing. And what I think about this is that most give up. Most New Yorkers unleash unlike any other population in the US, and all crazy antics are fair game. But the truth is they're in your town too sweetheart. We just air the dirty laundry in public because we have no choice. We set one toe on public property and there are 20 people within 3 square feet. You all do it behind closed doors with neighbor Betty peeking through the hedges to ensure you've got as many issues as her household. But clearly ( very clearly ) I digress. But the truth is, if I put every picture up, I'd have a succulent blog. Which could be interesting if I was some gardener extraordinaire, but I can barely keep a cacti alive ! These should be no-brainers !! But I'm working on it. And I read somewhere the difference between a green thumb and a black thumb is that a green thumb tries to learn from their mistakes and a black thumb doesn't care. Dare I call myself a green thumb ??? 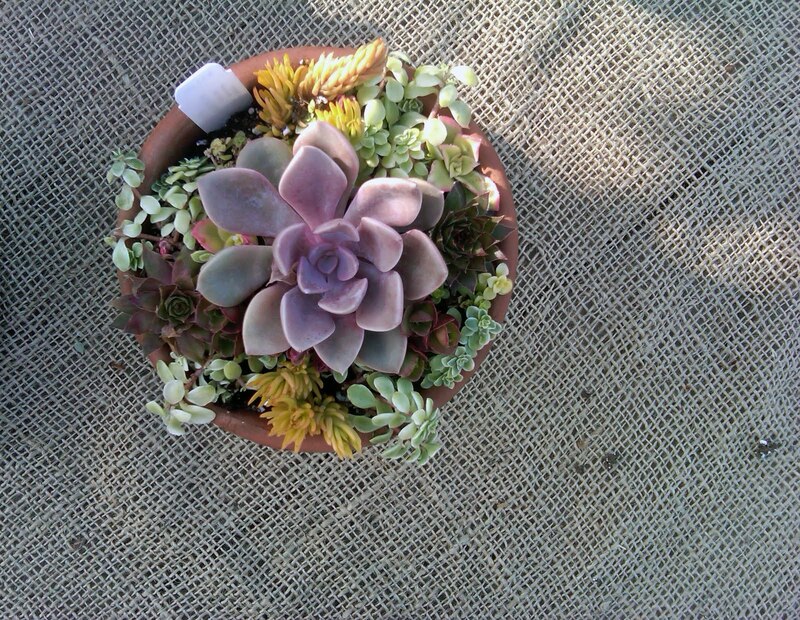 So while I've deleted countless succulents off my camera picture gallery I had to share these beauties. 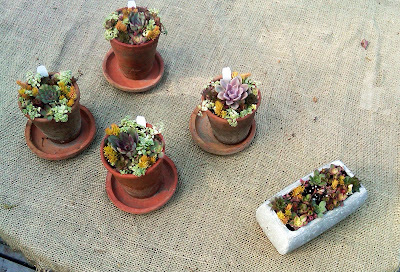 I saw them last week at Terrain with my mom. They are too perfect. I wish I could have taken all four home, but I have to keep learning from my mistakes first. Hacking away at that green thumb one baby succulent at a time.